With Harmonic Geometry, Richard Devine explores our string modeling synthesizer in all its facets. In his distinctive style, he brings us elaborate timbral perspectives and intricate textural spaces using the many shapes and forms of String Studio VS-3. These ingenious constructions materialize into an eclectic collection of sounds spanning modern sci-fi territories, ambiences, surprising percussions, resonant vibrational effects, and exotic instruments. 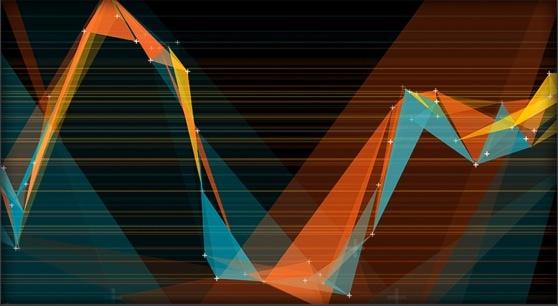 Harmonic Geometry comprises 130 presets divided into eight categories: Pad, Effect, Arpeggiator, Plucked, Synth, Keys, Percussion, and Ambient. 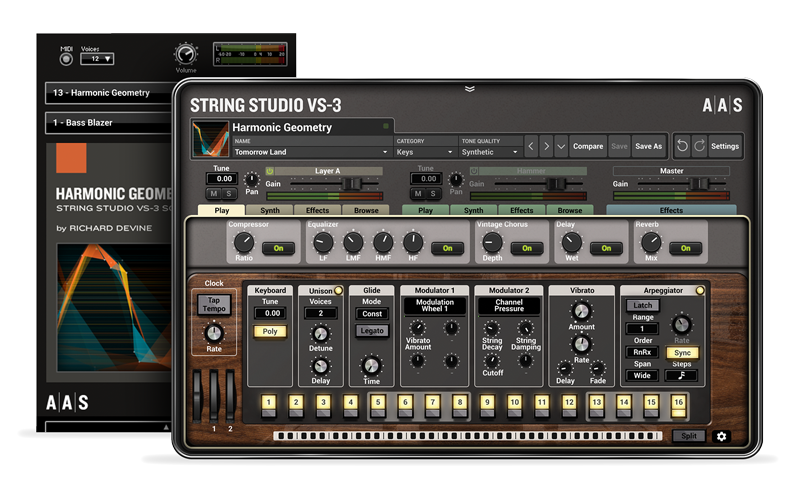 Harmonic Geometry was created with the String Studio VS-3 string oscillator synthesizer. You can obviously play and edit the sounds in String Studio VS-3, but you can also access and play them via the free AAS Player included with your Harmonic Geometry purchase.